Last night word quickly spread across Twitter that actor James Gandolfini had died while on vacation in Italy of a suspected heart attack. 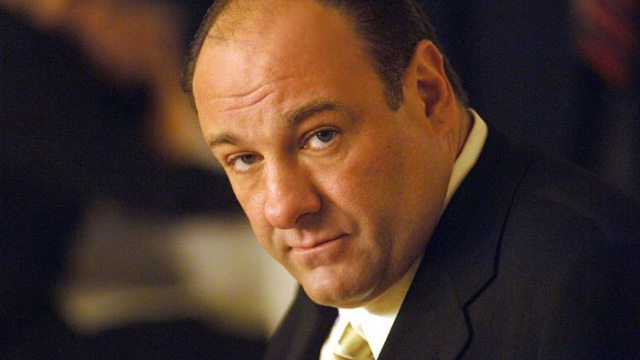 The Sopranos star was just 51 and leaves behind an incredible TV legacy that paved the way for the likes of Walter White and Don Draper; without Tony Soprano we might not be so accepting or willing to fall in love with these flawed characters. When The Sopranos first aired I watched a handful of episodes and even if I wasn’t always entirely sure what was going on with the overall plot, the charisma and magnetic quality of this character made it feel like I had watched every episode leading up to this point. A couple of years ago I worked my through all 6 seasons and it confirmed what I already had read/heard; that this is one of the most important TV shows of all time and that James Gandolfini’s performance is exceptional. It’s hard to put into words the impact that Gandolfini has had on the television landscape and when a famous person dies Twitter can quickly descend into a stream of RIP messages, but this feels different as people discuss their favorite scenes and movie performances, sharing personal stories of when they met him. There are many tributes to Gandolfini that have already been written and will appear throughout the day; I’d recommend Matt Zoller Seitz and Alan Sepinwall (both used to write at Tony Soprano’s newspaper of choice the Star-Ledger) as a place to start as they talk about their experiences with Gandolfini and his work on The Sopranos and in film. In the episode “Long Term Parking” as Tony and Carmela are reunited the song “Wrapped in My Memory” by Shawn Smith plays as the leaves fall around them. This song is used in this Sopranos compilation which showcases the work of the entire cast, but particularly James Gandolfini. Yesterday’s news adds a heartbreaking layer, but it is also an excellent tribute to Gandolfini’s work on the show.